Hatch Warren Infant School is a school which seeks to develop confident, independent, caring and enquiring individuals who are prepared for the future. We believe in fostering life long learning through providing an environment that values mutual trust and respect, honesty and equality and seeks to develop everyone’s potential. 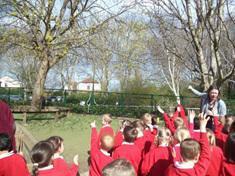 We provide excellent learning opportunities for all and celebrate the successes of individuals and the whole community. At Hatch Warren Infant School we believe spiritual, moral, social and cultural development (SMSC) underpins everything we do and this includes actively promoting British values. SMSC stands for Spiritual, Moral, Social and Cultural education. It is not taught as a lesson, rather it may be part of Religious Education, Physical Education, Personal, Social and Health Education AND part of the ethos of the school which children experience on a daily basis. SMSC is now highlighted by government as a key means of promoting basic British values and counteracting the development of religious extremism in some school settings. 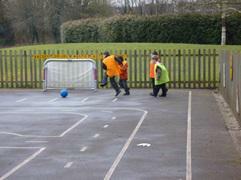 Children mix with children from other schools and other areas through residential visits and sporting events. 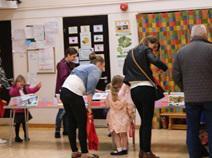 The wide range of music, theatre and literature the children experience enhances their cultural development. School’s Rules – all stakeholders involved in their creation and implementation. Consistent adherence to Behaviour Policy and rewards and sanctions consistent throughout school. Tolerance and acceptance of others’ views- School Councillors as main stakeholders in our school. Children with responsibilities e.g. special helpers, register monitors, etc. 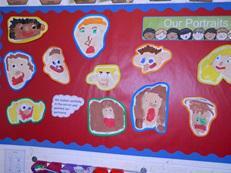 PSHE curriculum-personal identities, relationships, diversity and healthy living. Transition- time with new teacher to promote positive attachments. Y2 day with the junior school and specific transition work. Promoting acceptance and sensitivity to other cultures and beliefs- celebration assemblies and celebrations RE topics. Curriculum offers drama, literature and the arts to enrich children’s cultural experiences. Focus on Making Friends and what is a good friend. Debating activities e.g. should the Queen be allowed to build her new castle on the field? Children start to show empathy, start to relax and show ability to reflect on their own and others’ achievements. Pupils develop attitudes, values and principles. There is an increased ability for them to empathise with others and see beyond the self. 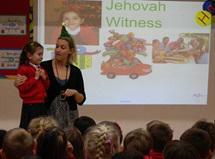 Pupils have a experience of places of religious worship. An awareness and understanding of their own and other’s beliefs. Pupils have more confidence in themselves and in their community. Pupils are able to give reasons for things being right and wrong. There is no fighting in school and a positive atmosphere pervades. Pupils look after each other and take responsibility for each other; any conflicts are resolved quickly and effectively. Pupils have very clear values which impact on their behaviour; they have a definite sense of what is right and what is wrong. Pupils enjoy celebrating others achievements and have opportunities to feel proud of themselves and others. Pupils are able to socialise with a wide range of people and pupils. We receive positive comments from the community when we go on trips and when we receive visitors. Pupils build relationships and friendships. Pupils feel they have a say in their school. Aware of people from different cultural backgrounds which help to contribute to a positive atmosphere in school. 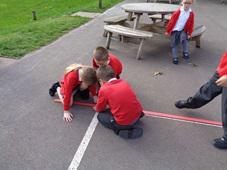 Pupils have an understanding of a world outside their own. 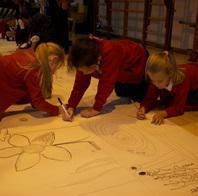 Pupils feel they have opportunities to showcase their diverse talents and feel valued for this. They experience opportunities for awe and wonder. The document “Promoting fundamental British values as part of SMSC in schools” says “Schools should promote the fundamental British values of democracy, the rule of law, individual liberty, and mutual respect and tolerance of those with different faiths and beliefs”. It is this list of values that are used below as a basis for this statement. At Hatch Warren Infant School, the importance of SMSC education in developing well-rounded citizens who contribute to society and improve their communities has always been recognised and promoted as integral to membership of the school. British fundamental values have always been at the heart of what we do, although in the past they may not have been explicitly labelled as such. When the term ‘British’ values is used it is important to underline that this embraces the fact that we are a nation with a proud history of people of many different ethnic backgrounds, religious beliefs and secular values all living together in a plural society. Our school models this wider picture of inclusivity, freedom and equality, so our underpinning values are British to the core. We listen to children’s and parent’s voice. Our school behaviour policy is clear that children are expected to contribute and co-operate, taking into account the views of others. Each class sees democracy in action as they elect members to represent them on the School Council, following hustings and a secret ballot. The School Council, which meets regularly with the Deputy Headteacher, chooses its officers through an election and will often vote on proposals within meetings. Pupil voice is also heard through Class Council which is fed back through School Council, class circle times, pupil interviews and class assemblies. We consistently reinforce our high expectations of children. Children are taught the value and reasons behind our expectations (rules) that they are there to protect us, that everyone has a responsibility and that there are consequences when rules are broken. The understanding of right and wrong is a thread that runs through school activity. It is discussed in school and class assemblies and Collective Worships, RE and PSHCE lessons. Children are supported in making good choices between right and wrong by general school rules (some of which, in classes, are democratically selected by the children themselves) and particular rules e.g. those that govern the use of play equipment. Children are continually reminded about what is needed to make a safe and happy community and the role of boundaries (rules, laws) to achieve this. To reinforce this message, visits e.g. from our Police Liaison Officer, Police Officers, Armed Services personnel and the Fire Service are a regular feature of our calendar. Within school, children are actively encouraged to make choices, knowing that they are in a safe and supportive environment. As a school we educate and provide boundaries for young children to make choices safely, through our provision of a safe environment and empowering teaching. Children are encouraged to know, understand and exercise their rights and personal freedoms. We provide a culture, environment and opportunity for children to make their own choices, recognising the need for their own and others’ safety and well-being. 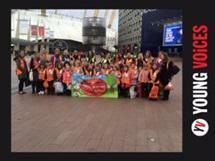 This is supported by a programme of E-safety and PSHCE lessons and assemblies. At Hatch Warren Infant School we recognise that everyone is important and special, and needs to be treated as such. Our behaviour policy, our school rules, the modelling of adults and pupil leaders as well as the explicit teaching through PSHCE and assemblies, actively promotes this value each week. Our school, like our country, has a richness that is due to the diversity of those who live here, and we value, embrace, and respect those from different backgrounds, cultures and beliefs. We aim to enhance children’s understanding of different faiths and beliefs by participating in a range of celebrations throughout the year. Children have the opportunity to dress-up in clothes and try different foods from other cultures and we encourage parents/carers to participate and support our multi-cultural events.